Lawmakers and the Wolf Administration came together to pass an on-time budget last week that meets the core responsibilities of government without the need for a tax increase. The fiscally responsible spending plan increased state spending by just 1.7 percent – lower than the rate of inflation, and below the limits suggested in the Taxpayer Bill of Rights. One of the most important components of the budget is a stronger investment in school safety. In the previous year, the state spent $8.5 million on school safety grants. In the upcoming fiscal year, the total amount of funding for school safety will jump to $70 million. The new funding includes the creation of a new grant program that will help pay for a number of different safety initiatives that meet the individual needs of each school district, including hiring school security officers, counselors or psychologists; staff training; security assessments and equipment upgrades, such as metal detectors; violence prevention programs; and a number of other evidence-based solutions to school violence. The bill also creates a new anonymous school threat reporting system to help schools and law enforcement deal with potentially dangerous situations before a tragedy takes place. I am relieved that my colleagues on both sides of the aisle were willing to set politics aside on a contentious issue and work together to help provide a safer learning environment for students, and I am optimistic that the conversation on school safety will continue in the fall. I had the honor of introducing a Senate resolution recognizing July 2-8, 2018 as Whiskey Rebellion Heritage Week in Pennsylvania and speaking about the highly successful and educational Whiskey Boys Rampage event that highlighted this important part of our local history. Mark your calendars for the Whiskey Rebellion Festival taking place July 5-8, 2018 in Washington County. The festival schedule can be found at http://whiskeyrebellionfestival.com/. In addition to passing the state budget and related bills last week, the Senate approved a number of other measures of interest to local communities. One of these bills mirrors a proposal I introduced in the Senate to make epinephrine injectors more widely available in case of an emergency. Under current law, schools are the only public entity allowed to store non-patient-specific epinephrine injectors. My proposal would expand the number of venues that can store injectors to include restaurants, sports venues, amusement parks, colleges, daycare centers and other entities. House Bill 153, which would amend the state Constitution to reduce the size of the House of Representatives. Senate Bill 172, legislation that provides a three-year trial period for PENNDOT to place speed cameras in active work zones on limited access highways. Senate Bill 735, a bill that amends the Real Estate Tax Sale Law to allow counties to establish a demolition and rehabilitation fund to combat blight. House Bill 594, legislation that prohibits Accelerated Rehabilitation Disposition for certain offenses against children. House Bill 1419, a measure to provide those with low-level, nonviolent criminal records a mechanism to have their record sealed from public view. House Bill 1918, which updates state law regarding the use of fraudulent credit card devices. Senate Resolution 384, a measure that directs the Legislative Budget and Finance Committee to study the efforts of other states to assist their dairy producers. Senate Bill 1171, which gives farmers greater input on proposed environmental regulations that could impact their farms. 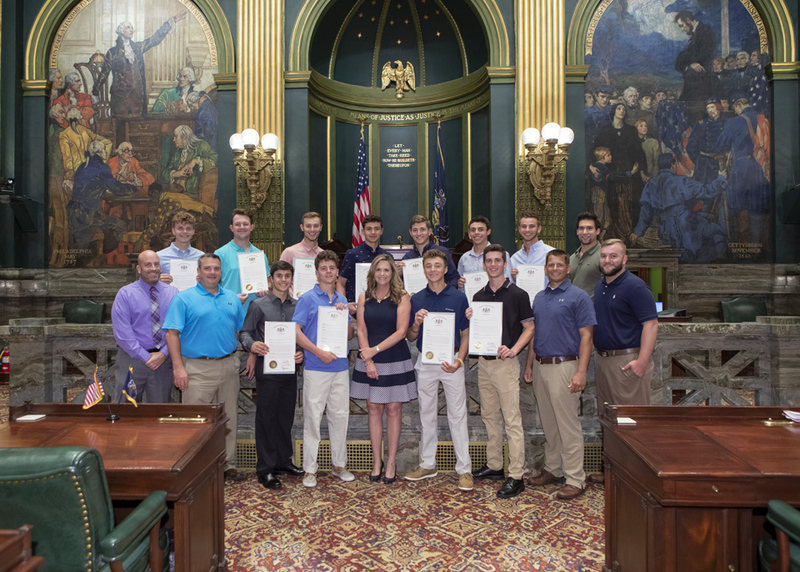 I was pleased to welcome the Canon-McMillan High School Baseball Team – 2018 PIAA State Class 6A Baseball Champs – to the Senate. Congrats to the Big Mac team members and coaches on this victory! Congratulations to the Ringgold High School Baseball team on capturing the 2018 PIAA State Class 4A Baseball Championship. I was honored to recognize the Ringgold Rams on this great accomplishment! Pennsylvania’s petrochemical industry supports nearly 80,000 direct and indirect jobs, resulting in $24 billion in economic activity and more than $410 million in state and local taxes. The Senate recently passed a measure I sponsored that would encourage Congress to build on Pennsylvania’s status in the industry and our region’s rich deposits of natural gas by supporting the development of an ethane storage hub in the Appalachian region. It is estimated that developing a storage hub here could create as many as 100,000 new direct and indirect jobs and generate $28 billion in new economic output. I encouraged my colleagues to support this resolution during my remarks on the Senate floor. Representative Jason Ortitay and I will host a Family Fun Night on July 13 from 5-8 p.m. at Mount Pleasant Township Fire Hall, 106 Main Street in Hickory. The free public event will feature fun activities, raffle prizes, giveaways and safety resources and information for families. Activities will be available for kids of all ages. I hope you can join us for this educational and entertaining event! 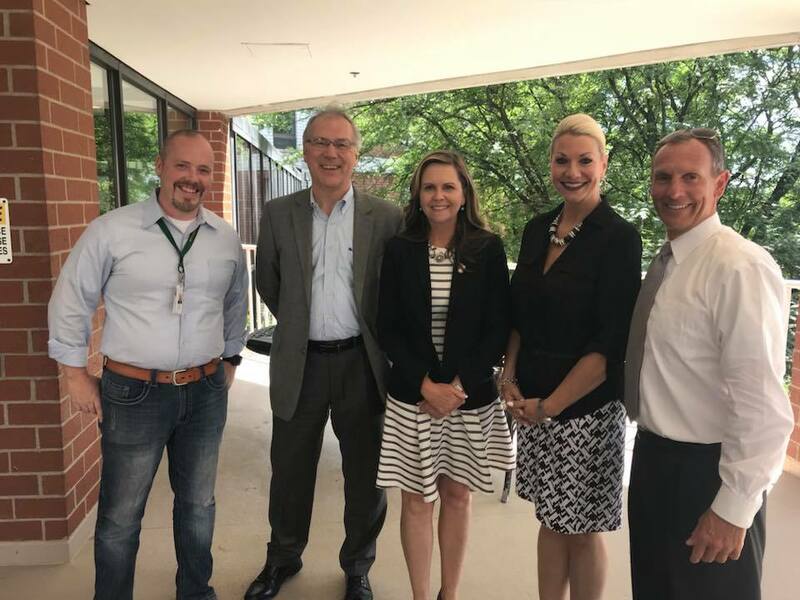 My thanks goes out to all of the members of the Presbyterian SeniorCare Network at the Washington Campus for taking the time to discuss some of the challenges facing long-term care facilities.